NPR is a thriving media organization at the forefront of digital innovation, NPR creates and distributes award-winning news, information, and music programming to a network of 900 independent stations. 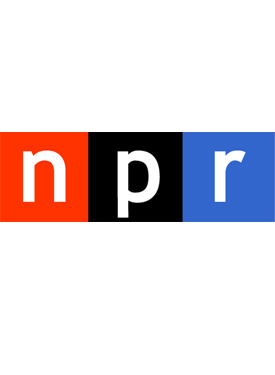 Through them, NPR programming reaches 26.8 million listeners every week. The mission of NPR is to work in partnership with member stations to create a more informed public - one challenged and invigorated by a deeper understanding and appreciation of events, ideas and cultures.